Many people are not aware that liposuction and tummy tuck procedures are not intended for weight loss. Patients who maintain a healthy weight for their height often experience the best results with these procedures, which is why not everyone is a candidate. Especially if you primarily have visceral fat in the abdomen (which makes your stomach appear very round and hard), a reputable physician will likely discourage you from this type of surgery. Since visceral fat is located deep within the abdomen and surrounds vital organs, it cannot be reached with liposuction or tummy tuck surgery. Patients who first lose the weight find that these procedures make a fantastic reward for working hard to get healthy. With liposuction or abdominoplasty, they can achieve the healthy body they have always dreamed of, both inside and out. Study after study has indicated that smoking greatly influences surgical outcome and recovery. It constricts blood vessels, which can lead to a longer recovery period, wound separation, and raised scars. Nicotine can cause anesthesia complications, which can lead to very serious side-effects, including heart attack and stroke. Those who are considering plastic surgery must not have smoked for at least two weeks prior to their procedure. Consider using surgery as a motivation to quit the habit for good! What makes a “good deal” good is when it’s worth it to you. Dr. Conrad offers various financing options that will make the procedure of your dreams more affordable. With the cost of your surgery on the horizon, odds are you will be all the more motivated to pinch pennies elsewhere. For many people, their wrinkled skin, sagging breasts, or protruding abdomen can become something they think of and worry about on a daily basis. They may even avoid social events and miss out on important activities because of the way they look. This unhealthy way of thinking can cause anxiety that will negatively impact their quality of life. Scheduling a consultation can help ease patients’ stress with the knowledge that there is a solution to their concern, and soon their needs will be met. To schedule your consultation with board-certified plastic surgeon Dr. Matthew Conrad, please call our Wichita, Kansas practice at (316) 681-2227 or fill out our online contact form for more information. 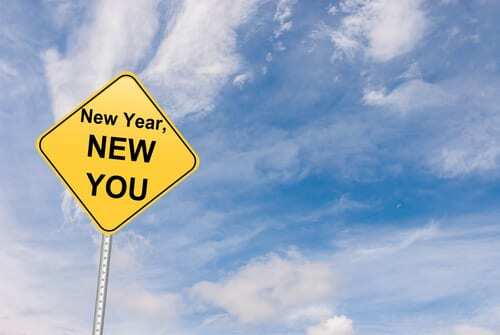 Let Dr. Conrad help make this year your best ever!